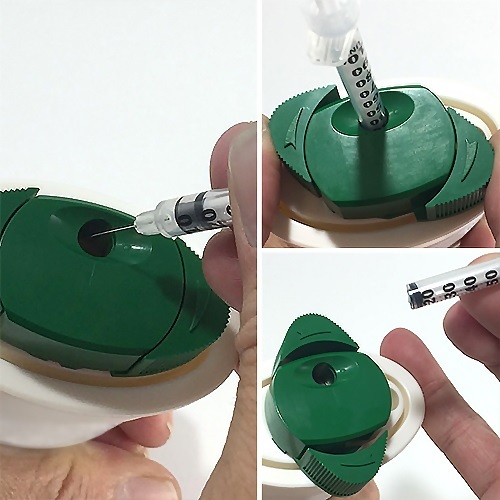 Syringe Needle Clipper and Container with lock on lid allows you to clip and dispose of syringe needles in three simple steps. 1) Insert used syringe/ needle into clipper hole on the top of the container. 2) Twist cutting blade handles to clip needle – needle falls safely into secure container! 3) Remove and dispose of syringe – now with no needle attached! The Container can hold up to 100 clipped needles. 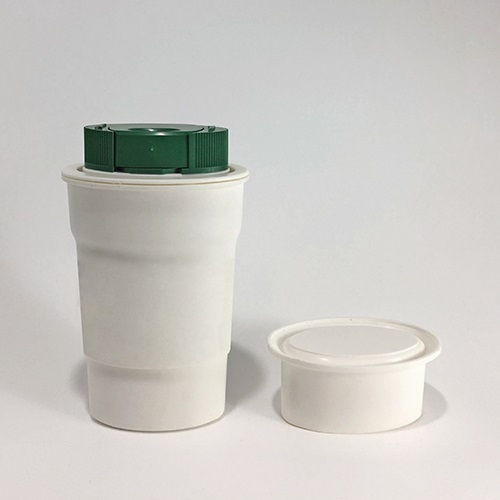 With the secure top and container this is the perfect collector to safely dispose of used needles, reducing exposure to possible accidental puncture or injury risk. Compact high quality container provides safe storage for clipped Needles in it's container. To be used for the collection, transportation and disposal of needles and syringes in healthcare areas, home care environments and any other area requiring the use of sharps containers.